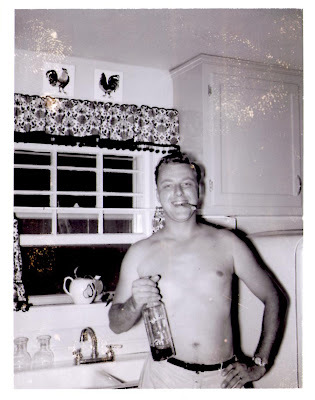 Home 1950s 1960s It's personal Happy Father's Day! To all the dads out there who read Go Retro, here's wishing you and yours a Happy Father's Day! 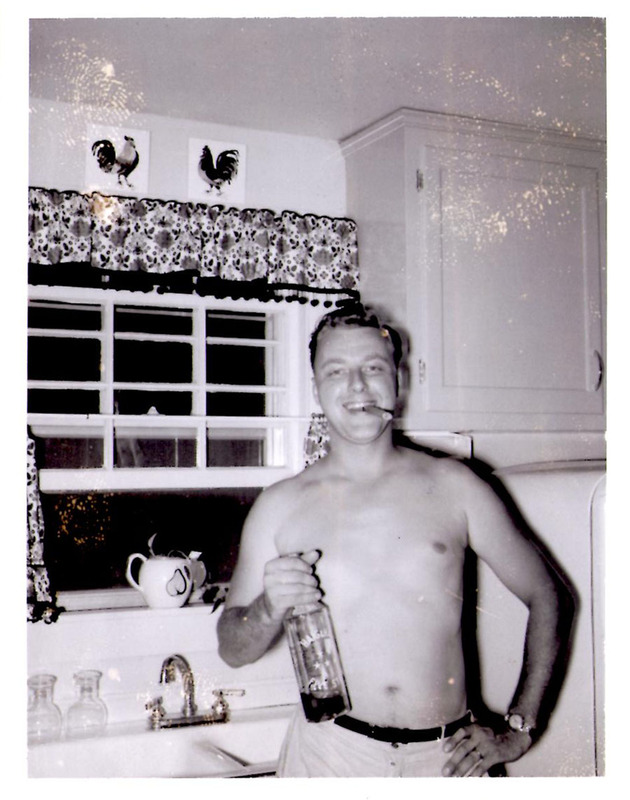 This is a picture of my own (late) father, I'm guessing from the late 50s or early 60s. He really wasn't a "partier" per say, at least not by today's standards, but it does look like he was a having a good day or night here. I got a kick out of the pictures of the chickens on the wall...this may be from my parents' original house that they lived in, not the one I grew up in. I know you miss him as I do mine! He may not be a partier, but my dad was! Anyway, looks like he was having a great time! Chickens on the wall are excellent! I have chickens all over my walls! Your dad looks like one cool dude! My father has passed away as well, and like you I remember him fondly. Your dad looks like he was a groovy guy! I love to look at old pics of my parents. They look so happy and young. Bittersweet. My dad had a huge Afro at one point. We still laugh about it to this day. Your dad is so handsome and looks like he was a lot of fun to be around! I miss my dad as well. Father's day is always a little hard for me. It's really nice though to see everyone celebrating their dads.